While written by a prominent and active scientist, this book is based on personal experience and biblical theology. It doesn't try to derive God's existence from science and it's critical of scientific inferences on the notion of God (Natural Theology). Cosmic fine-tuning and other coincidences are no proof of God, but are amazing, astounding and will never be fully explained. Amazement is the appropriate emotional perception of reality. The objective world is not a matter of course and may well not exist at all; thus reality, at times, is experienced to be very special. Human life, the beauty of nature, the habitability of planet Earth can be considered undeserved gifts. In the light of these gifts, the universe is metaphorically interpreted and existentially believed as a divine Creation. Science cannot create such faith but can foster it. Is God necessary to explain the universe? Is the idea of a Creator excluded by modern science? Why continue speaking of a Creator and to believe (trust and hope) in His continuing creation when God cannot be demonstrated in scientific data? 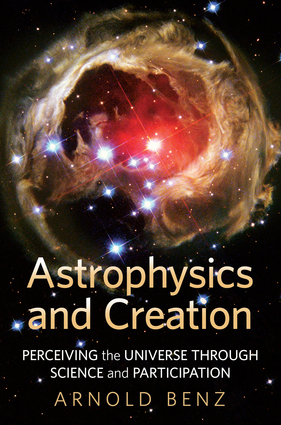 Arnold Benz, a renowned astrophysicist and Christian, insists that human perception reaches further than science and demonstrates this in various examples, personal, biblical, and literary. Arnold Benz of ETH Zurich is an expert in the exploration of star and planet formation using ESA and NASA satellites. He is a past-president of Div.II of the International Astronomical Union, and member of the European Academy of Science.